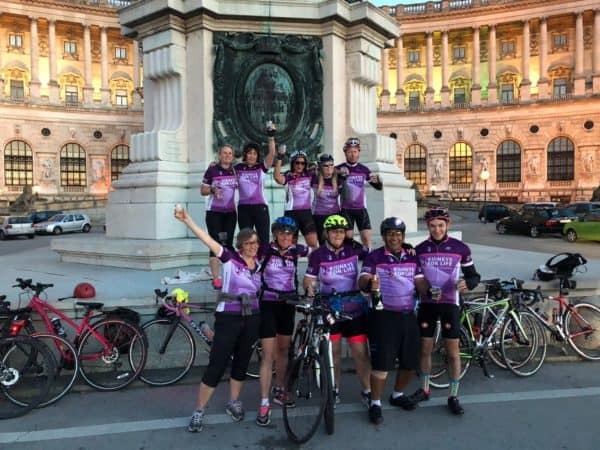 Cycle approximately 270 miles on this truly wonderful, and most picturesque cycling adventure from charming Salzburg to elegant Vienna. Ride along the lakes and rivers of Salzach and Inn to Passau on the German/Austrian border before joining the mighty Danube to journey south past medieval towns, ancient vineyards, abbeys and romantic castles to the Austrian capital. Registration is £95 and minimum sponsorship is £1730. When registering for this event you will need to confirm that you have read the Terms & Conditions of KFL Events which are available to download by following this link Terms & Conditions for KFL Events and also that you are aware that £900 of the minimum sponsorship needs to be raised by 5 July 2019.